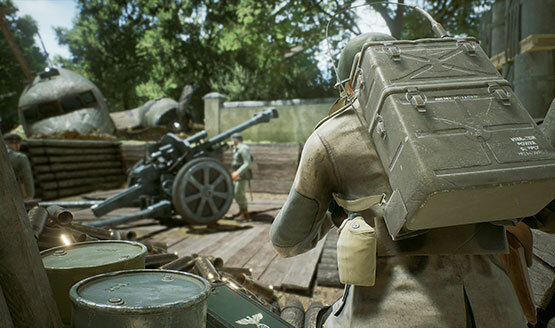 Square Enix Collective, Square Enix’s indie game publishing platform, has announced that it has signed a deal with Bulkhead Interactive to publish the studio’s upcoming “old-school” World War 2 multiplayer shooter Battalion 1944 for the Playstation 4. 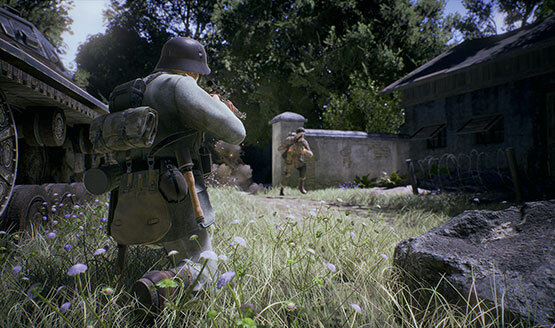 Bulkhead Interactive ran a successful Kickstarter campaign for Battalion 1944 last year with the promise of bringing back the feel of classic multiplayers FPS games and combine that with up-to-date industry technology. After the success of the crowdfunding campaign, the studio sought out a publisher for their new game and they ended up choosing Square Enix Collective. Bulkhead Interactive also partnered with Square Enix Collective for its previous game, The Turing Test. From having partnered with Bulkhead before on the hugely successful The Turing Test, we know they’re a very talented studio making great games. We trust Joe and the team as we know what they’re capable of and we see them actively listening to their community. Our relationship is built on a foundation of minimum publisher interference with maximum support where needed. We’ll help nurture and grow the community while Bulkhead can focus on crafting a fantastic FPS experience with Battalion 1944. “We received some strong offers from other very big publishers on Battalion 1944. But ultimately, the one team that really stood out for us was Square Enix Collective. Why? Because they published our previous game, The Turing Test on PC, so we’ve gotten to know them well and that means we know how they work. Crucially, we know that the relationship will be based on trust; and that’s something which works both ways”. There is no announced release date for Battalion 1944 yet but a gameplay trailer for the title’s alpha is set to be released soon.